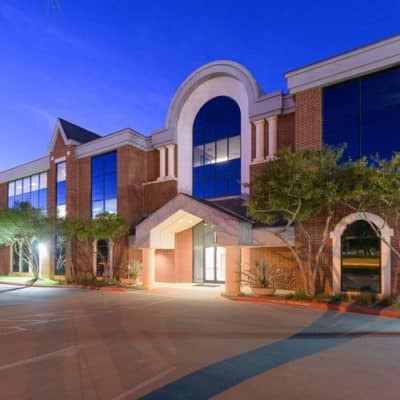 In late 2011 Spear Street Capital (“SSC”) acquired University Park, a 6-story office building located just off of I-35, north of Austin’s CBD. 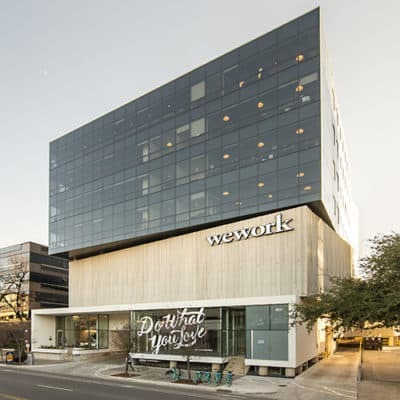 SSC saw the opportunity to fill a void in the Austin market for a centrally located option for tech/creative space, and thought this new, Class A building would meet a need that was underserved throughout the city. 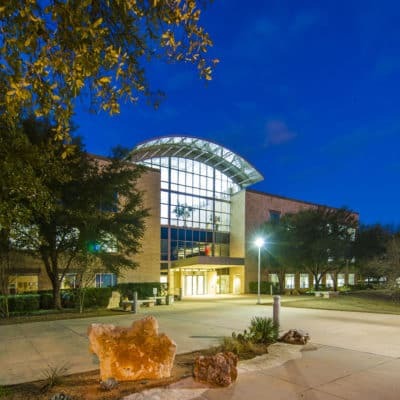 After 2 years of interior and exterior improvements to secure a certificate of occupancy and enhance the building’s appeal, SSC engaged AQUILA to help re-position the project and kick-off lease-up efforts in earnest. University Park, while centrally located and easy-to-access, stood in what was, at the time, an unproven office market. 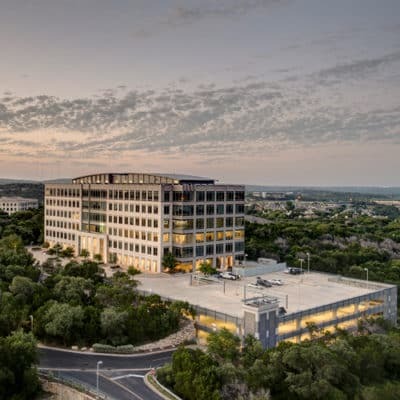 While situated just north of the CBD – consistently one of Austin’s strongest office markets – the building’s location isn’t quite close enough to be considered within downtown proper. 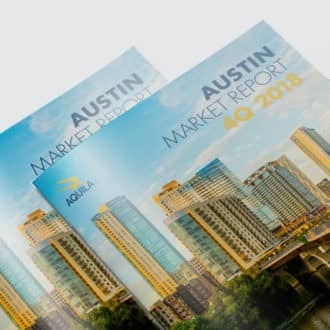 Furthermore, there had been some controversy surrounding the development, so AQUILA would have to leverage SSC and AQUILA’s credibility to help legitimize the project within the local commercial real estate community. AQUILA knew we faced a unique opportunity, but we needed a plan capture it. We started by crafting a narrative that would resonate with both tenants and the brokerage community, with location at the heart of the story. Attracting top talent was a key goal for technology companies, and, in order to do so, they needed to be at the heart of a variety of centrally located housing, entertainment, fitness, education and retail options. Knowing this, we crafted maps and marketing pieces that positioned the building at the center of it all: adjacent to the talent-generating University of Texas campus and funky/cool Hyde Park area; just across the interstate from Mueller – a magnet for young families; and at the front door of Austin dynamic East Side and Manor Road neighborhoods and the city’s booming CBD. Since the neighborhood was yet undefined, we took the liberty of establishing University Park’s hood as the “Uptown” District, and we crafted a comprehensive marketing campaign reinforcing the new neighborhood brand in the minds of tenants and brokers alike. Furthermore, we leveraged the building’s relatively favorable access to instill the idea that Uptown was, in fact, perfectly situated to take advantage of all the best parts of Austin. To fill the building we worked from the bottom up. Google was in the market looking for an immediate requirement. Their talent needs aligned perfectly with the story we had crafted, and we knew securing a great name brand tenant would bring the legitimacy and credibility to the project we needed to jumpstart leasing. Aveda Institute, who was paying below market rent and taking up more than its pro rata share of parking, occupied the first two floors, so we negotiated an early termination in order to secure Google. The momentum continued when we won Evernote’s relocation/expansion within Austin. Again, University Park’s central location married well with the building’s proximity to the tech company’s workforce, allowing us to secure a full-floor deal. In order to diversify the tenant base, we decided to break the sixth floor up into three smaller suites. Texas Restaurant Association and Central Texas Regional Mobility Association (CTRMA) were draw in by the idea of the proximity to the Capitol without having to be in the mix of the CBD. Tengo Internet rounded out the leasing to bring that floor to full capacity. We topped out the project by securing a deal with WeWork. The in-demand co-working company was looking for a second location out of downtown and University Park’s location and aesthetic satisfied their customers seeking a CBD alternative. Ready to talk about leasing your property?